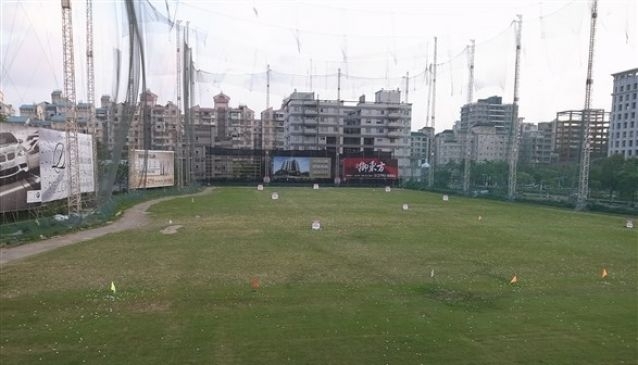 Peng Lai Driving Range Golf is located on Jingye 3rd Road, which is just off of Neihu Road Section 1. The closest MRT stop is the Jiannan Road Station on the brown line, which is just a five-minute walk away. It's also very close to the Miramar shopping center. The range opens at 5 a.m. The first level closes at midnight, while golfers can hit from the second level until 1 a.m. There is a total of 74 practice mats. The base of the back net is about 200 yards away. Balls are sold by the box (30 per) at NT$70. There is also a pro shop, cafe, restaurant and massage room on site.